Are you deleting the grille mounted fog lights from your 2013-2014 Mustang GT in favor of the Fog Lights found on the California Special? These adapters convert the factory LED connector to an H11 bulb connector found on California Special models. Please note: This kit allows the user to remove the GT’s grille mounted fog lights and replace them with fog lights mounted in the lower valance. It does not allow you to operate 4 functioning fog lamps without modification. 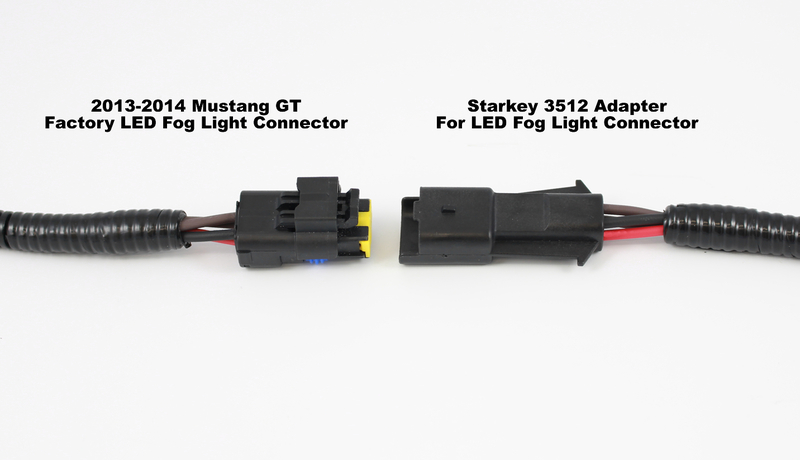 Looking for a complete foglight kit for your 13-14 Mustang? Check out our foglight kits section. Only high-quality weatherproof connectors are used. 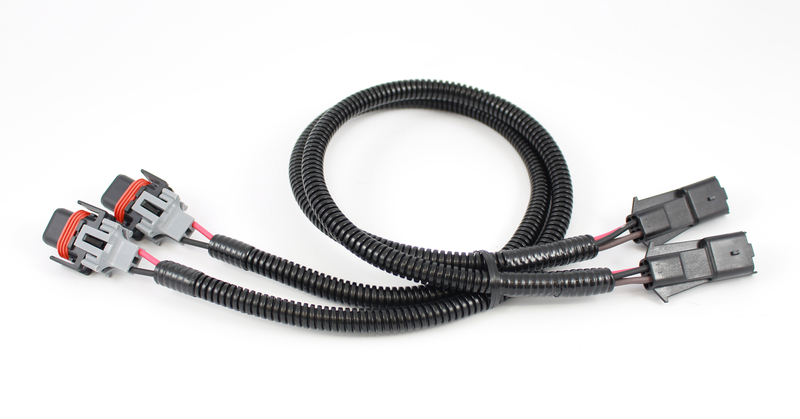 No cutting or splicing required – just plug the new extensions in and you’re done. Converts from an LED 4-pin connector (standard on 2013-14 GT Mustangs) to H11 bulb connector found on California Special models. Note: Due to this products' light weight, unless ordered with another product this item will ship via USPS First Class. Pretty nice!!! You get what you pay for and very easy installation!! I recommend A++..